John Schappert believes that the digital model is great for extending game life but that it will be a long time before the age of "shiny disc" is over. At this year's GDC, the chief operating officer of EA, John Schappert, sat down with Alex Pham from the Los Angeles Times to discuss the changing games industry. There's so much going on with social gaming, the Wii, and iPhone/iPad apps, but Schappert doesn't think that the end of the traditional model of selling discs to consumers is coming any time soon. 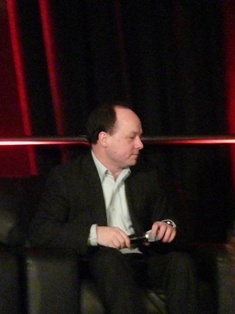 "The PS3 and the Xbox 360 are connected consoles," Schappert said. "It's almost akin to thinking of a PC without an internet connection; people don't even know what to do with a computer that doesn't have an internet connection these days. The same is very much true of the PS3 and the Xbox." EA is tapping into that by offering more and more digital content with their "Project Ten Dollar." Schappert points out that although digital content is extending the life of games, they still needs to sell the game to their consumers. "We have a more educated [customer] base than ever before. The days of folks walking into a store, picking up a game based on what the box looked like, turning it over and saying ok I'll buy this, I don't think that happens anymore. Instead folks are reading reviews, reading previews, they're watching videos up on YouTube, they're a very well educated bunch," Schappert said. That means that gamers are being more selective with the games that they want to buy. Customers are also more cost-conscious because of the global economic downturn and are therefore buying less games as a whole. Therefore: "If you're not making a title that cracks the top 30%, you're probably not making money. You're probably losing money," Schappert said. EA's strategy to continue to profit from games in this landscape is to offer more digital content to extend the life of the company's hits. For that to work though, customers still have to buy that hard copy of a console title. "Online is great, it extends the consumers experience, but it all starts with the shiny disc," said Schappert.